As of 2018, the Apple App Store has over 2 million different apps submitted by developers around the world. If you want to create your own app, you should know there’s some stiff competition out there. Once you decide to make an app, you need to figure out how to make an iPhone app. There are several app development software programs available for creating your new app. While you can get some developers together to start hacking away at some code, there are software tools that can make the process easier. 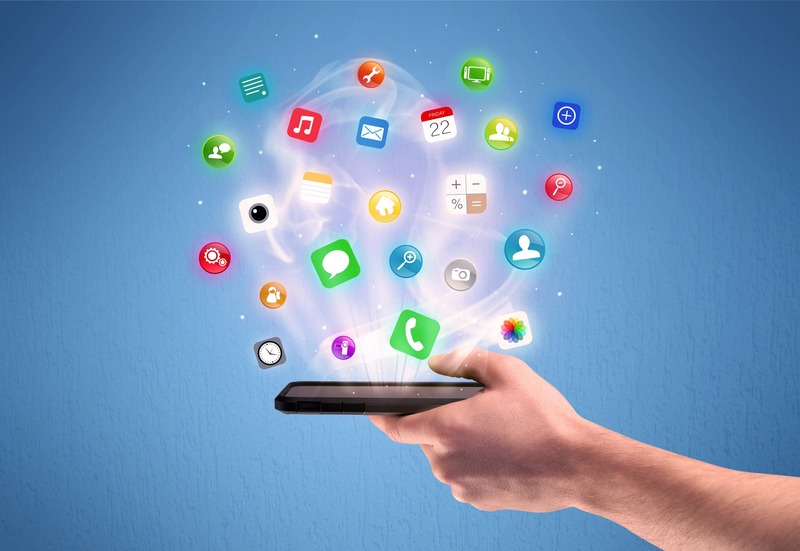 If you’re interested in creating an app, make sure you’re thought through these 5 steps. Creating your own app for Apple’s App Store starts with a great idea. But once you’ve got an idea, you need to figure out how to implement it. A great idea can raise eyebrows but it takes a strong product to open wallets. You need to start by choosing what your goal is with this new app. Your goal needs to be unique yet apply to tens of thousands of people. While you might want to help people get their dry cleaning picked up, their dogs walked, and pizza delivered, you shouldn’t try to do all of them at once. You need to pick a single goal and be focused on that. Then you should start thinking about the flow of use when people are in your app. Decide what it is that people think of when your app should come to mind. This will help you figure out why users need your app. It’s okay if there are other apps like yours on the market. That means there’s an audience for what you want to do. Now you need to figure out what makes your app stand out from the rest. To know what your app can do to help people, you need to do some research. If you’re trying to help people looking to meet potential dates, people already have Tinder and Grindr. Think about what you can do differently. If you’re coming up with a new dating app, figure out what people like about the ones they use and what they don’t. Find out how you can improve those apps by doing research. You can ask people you know, put together a survey, and even post on message boards across the internet. Research will pay off when you start to see how your app differs from what else is out there. When you start to feel like you’re coming up with a unique voice, follow that impulse. Listen to your inspiration, wherever it takes you. By listening to that inspiration, you’ll begin to form your brand identity. How often have you opened your phone to do something productive and just ended up scrolling on Instagram? While it’s fun and can feel good, it’s not what you intended to do. The brand identity, whether it’s the colors of the app or how it makes you feel to scroll, spoke to you louder than the other app you needed to use. Your brand identity is what makes you unique for your users. It’s the essential essence of what you do and what makes your app special. Your brand identity is that DNA of your company which no one else can match. Check out this guide to find out more about the latest in app design. Your brand identity comes from the fonts you use, the colors you use, and even the name of your app. Coming up with a name that people can remember and might describe what your company does is essential to making a name for your self. With a strong name, you can take up space in the market. Once you’ve got a name and an identity, you can start marking out the territory that you want your company to take over. As soon as the idea feels real, you should get out there and start spreading the word about your company. Before you tell everyone your name, make sure it’s available on social media and that there isn’t another competing company with a similar name. You don’t want to do the work of building a customer base only to have another company reap all the benefits. Take up space on social media. Make sure you’ve got accounts on every social media channel you think you’ll need to be on. Set up accounts all over the place just to make sure you’ve got that account nailed down before competitors go for it. Start looking for your URL as soon as possible. Your URL needs to be memorable and snappy. It should be something that’s easy to remember and as short as it can be. Look for forums where your clients might be. Start writing posts and sharing information about your new app. Let people know what you plan to do and why they should work with you. Forums are a great way to start building your marketing strategy. You won’t be able to roll out the ideal product with all of the necessary bells and whistles on day one. It will take some time and a great deal of trial and error to build the product you’re aiming for. The best thing you can do is to build a minimum viable product. Put together a version of your product that has enough to complete one clear task well. Once you can prove that you can do one thing well, customers will stay tuned for more developments. Using certain app developer tools, you can put together a simple app that can help users engage with your products and services. Whether you want to have a custom app for ordering your products or to create a channel for users to submit their writing, images, or ideas, tools can help. They can streamline the process of putting together an app so that it’s accessible to anyone. If you’re looking for a beginner’s guide to mobile app development, check out this guide we’ve put together.